QAL is quilt-a-long for my non-quilting followers! I have avoided one of these for a long time and the reason I chose this one is because it was based on fabric that I have. Remember when I bought more fabric than I needed for Hartley's quilt? Not to mention the fact that I had not a single plan in sight? Well...I have decided that since I purchased this fabric from the internet...it deserved an internet pattern. 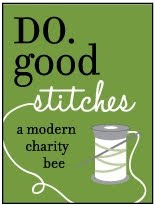 I adore Christina's pattern, at Sometimes Crafter, called the Retro Flower. You can purchase it HERE. 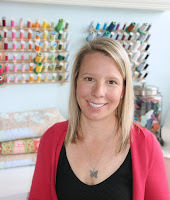 I have been adoring Rachel's mini-quilt on her blog, Stitched in Color for a while...so what better way than to join a QAL! I have always been on Flickr but have never mastered it quite yet, and I think this QAL will broaden my computer horizons! 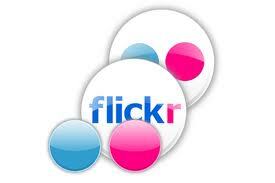 I finally figured out that Flickr is where all of the bees, swaps, and QAL people hang out! I have already found a few new blogs! Some new to me and some just plain new! I also realize that I might have motif problems with the fabrics above, so there might have to be a change eventually. But now I have my QAL Flickr group to give me some advice! Why in the world does Heidi find joy in other people's blogs that she doesn't actually know. I finally have some friends that I can email, chit-chat, and commiserate, and bounce ideas off of! I love all of you, my in real life friends and family, but my online friends "get" the crazy crafty/quilting girl!! P.S. Please don't compare my blog to the ones I have mentioned today...I know I am not at all close to their level of amazing-ness!!! I'm so excited that you're doing this QAL! I've been ogling that block for ages, and also just adore it. When I saw the QAL pop-up I had to force myself not to go straight off and buy the pattern. I've promised myself no more swaps/QALs for 6 months- too many crazy things going on. I'll be looking out for yours though, sounds like tons of fun! I will enjoy watching your progress! I love my blogging and message board crafty friends. I agree that sometimes you all are the only ones who get the joy of a finished pieced top. My husband just doesn't get it and I don't have many crafty friends in real life. Can't wait to get started on this! I am still unsure about fabrics I may get the flikr/blogosphere to help me decide. Love your fabric choices. Hi heidi, for my little English, I can not write anything I wanted to share, use the translator, I hope you understand. 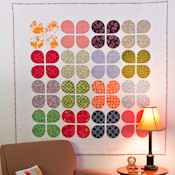 I love the retro flower quilt! Don't know that I will be able to squeez any quilts..but I will def. be watching for yours. Sorry I have missed a few of your post...I am still clueless on the google connect...I really need to work with it in the mean time I will be getting your post via my email so I don't miss anymore! :) happy quilting! Woohoo! SO glad that you're joining in on the fun... :) And I totally "get" you...and love it when I have people to share my "dorkiness" with...even if we've never met. Ha! 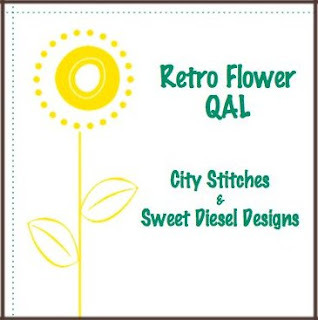 No way can I committ to a QAL but I can totally be a blogging/quilting friend! I am debating about this QAL. I really, really want to do it, but not sure if I can fit it in! More things on my to-do list than time...sigh. 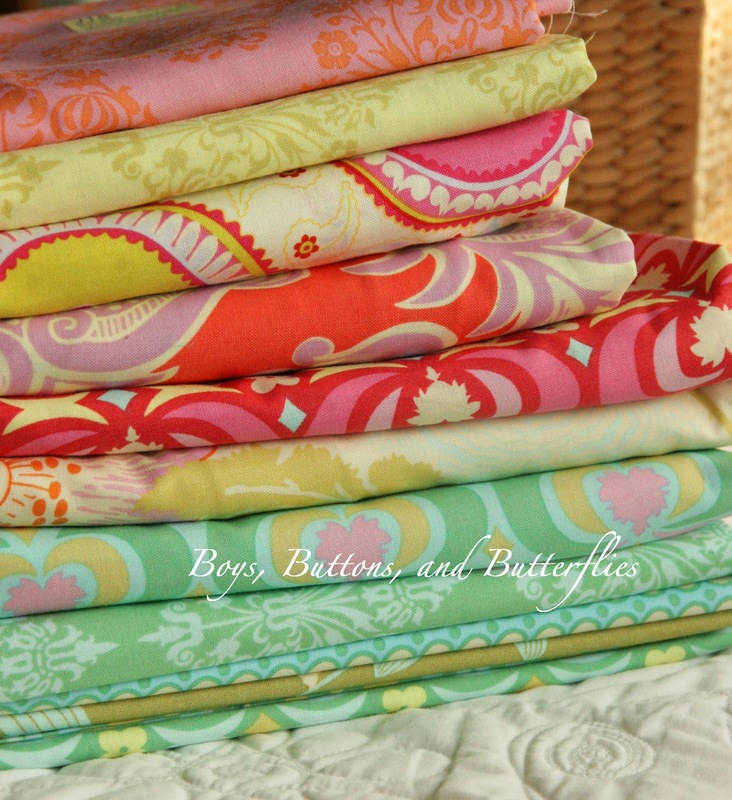 : )"Getting each other" is one of the best things about the quilty blogs/flickr...we can all be fabric geeks together LOL Enjoy your first QAL, they are so much fun.